WILMINGTON, N.C. – For more than 100 years, Cape Fear Museum has collected, preserved and interpreted objects relating to the history, science and cultures of the Lower Cape Fear. One of its most important treasures, Curator Barbara Rowe, will retire in this month after 30 years of service with New Hanover County. 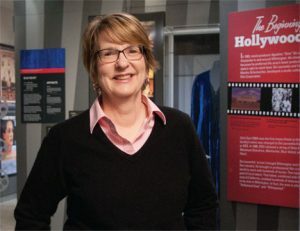 After earning a bachelor of arts in American studies with a history minor in 1980, and a master’s of art in American history with a certificate in Museum Studies from the University of Delaware in 1982, Rowe launched her career at the Milwaukee Public Museum. She made the move to North Carolina in November 1986 and settled into her new position at Cape Fear Museum. Experiences like working with Ralph Appelbaum Associates to develop large exhibits taught Rowe about how to organize and manage hundreds of objects and images for the development process. She continues to make contributions to the exhibit process by conducting thorough research. Time spent in the NC State and UNC archives doing original research on Colonial Wilmington for Cape Fear Stories: Land of the Longleaf Pine made her feel like she was making a real contribution to understanding the region’s early history. In her retirement, Rowe plans to take a short breather and then explore options for the next phase of her career.